HOUSTON (AP) — A toxic onslaught from the nation’s petrochemical hub was largely overshadowed by the record-shattering deluge of Hurricane Harvey as residents and first responders struggled to save lives and property. More than a half-year after floodwaters swamped America’s fourth-largest city, the extent of this environmental assault is beginning to surface, while questions about the long-term consequences for human health remain unanswered. County, state and federal records pieced together by The Associated Press and The Houston Chronicle reveal a far more widespread toxic impact than authorities publicly reported after the storm slammed into the Texas coast in late August and then stalled over the Houston area. Some 500 chemical plants, 10 refineries and more than 6,670 miles of intertwined oil, gas and chemical pipelines line the nation’s largest energy corridor. 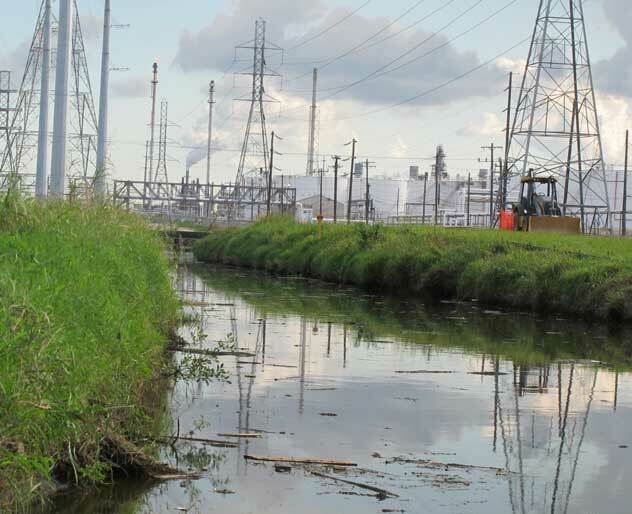 Nearly half a billion gallons of industrial wastewater mixed with storm water surged out of just one chemical plant in Baytown, east of Houston on the upper shores of Galveston Bay. Benzene, vinyl chloride, butadiene and other known human carcinogens were among the dozens of tons of industrial toxic substances released into surrounding neighborhoods and waterways following Harvey’s torrential rains.